ADOM :: Jeremy L. Moreland named new provost at St. Thomas U.
Jeremy L. Moreland named new provost at St. Thomas U.
MIAMI GARDENS | Jeremy L. Moreland has been selected as St. Thomas University’s new provost and chief academic officer. Formerly provost and chief academic officer for University of the Rockies in Denver, Colorado, Moreland will be joining STU this month. 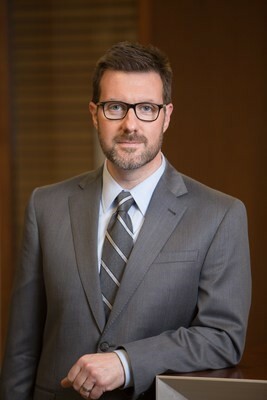 Jeremy L. Moreland, appointed provost and chief academic officer at St. Thomas University’s in January 2019. He said his priorities will be "effectively leveraging technology for teaching and learning, while also fostering research opportunities for faculty and students." “Dr. Moreland brings over 20 years of academic leadership experience to STU and possesses a thorough understanding of academic programs, instruction, and assessment, which are valuable skills we need to increase student enrollment and retention,” said David A. Armstrong, STU president. “I’m not only confident in his ability to evaluate the effectiveness of our current degree programs, but I’m also encouraged by his collaborative approach to managing the unique needs of groups ranging from our Board of Trustees to our diverse student body. Dr. Moreland’s firm, yet versatile leadership philosophy is exceptionally useful at the helm as we work together to emerge as the first-choice Catholic University of the South,” he continued. Moreland earned a Ph.D. in general experimental psychology from Texas Christian University, a Master of Science from Texas Christian University, and a Bachelor of Arts from Stephen F. Austin State University. He served as founding editor-in-chief of the award-winning Journal of Leadership Studies. His research has focused on leveraging insights from cognitive psychology to build effective teaching and learning strategies. St. Thomas is the only Catholic archdiocesan-sponsored university in Florida. It places an institutional emphasis on social justice and ethical behavior, and provides its globally diverse student body with low student/teacher ratios. The private, non-profit university offers more than 45 undergraduate, graduate, and post-graduate degrees at its 144-acre campus in Miami Gardens, and through distance learning, including one of the oldest and highly ranked undergraduate programs in Sports Administration in the country.